One of the biggest questions plaguing the current housing market is where mortgage interest rates will be at this time next year. 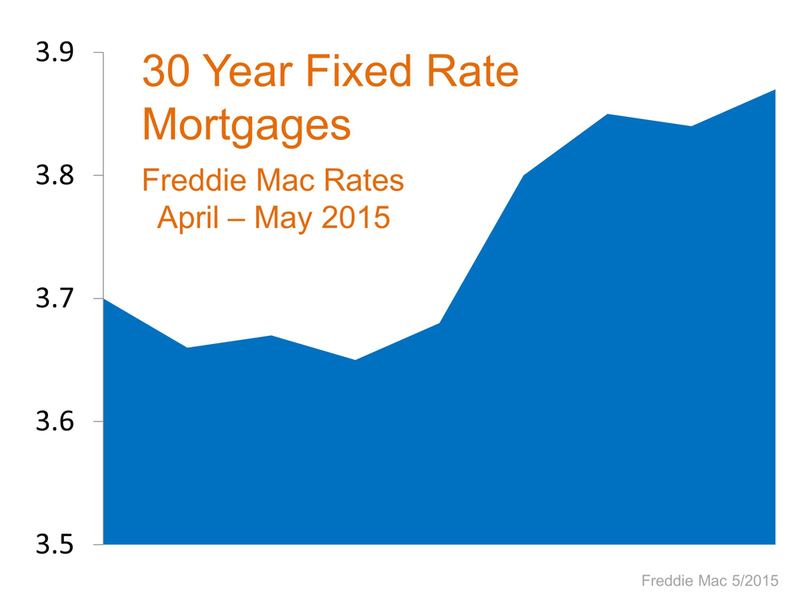 Over the last two months, rates have begun to creep up (see chart). Though we don’t like to project rates moving forward, we do want you and your family to have the information you need in order to decide whether to wait before buying your first house or moving up to your ultimate dream home. 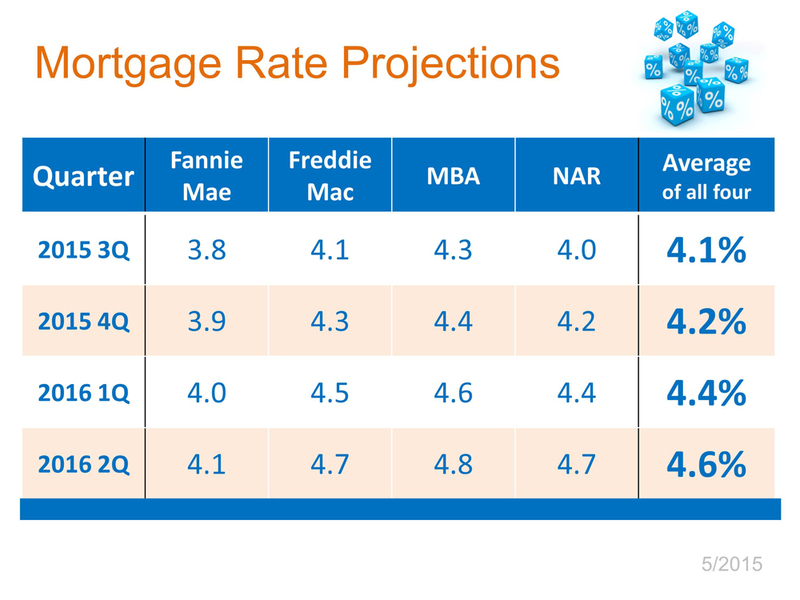 Here are the most current mortgage rate projections from Fannie Mae, Freddie Mac, the Mortgage Bankers’ Association and the National Association of Realtors. If you are ready, willing and able and are thinking of buying a home over the next twelve months, waiting may not make sense.